Today I'm wearing Essie - Camera. 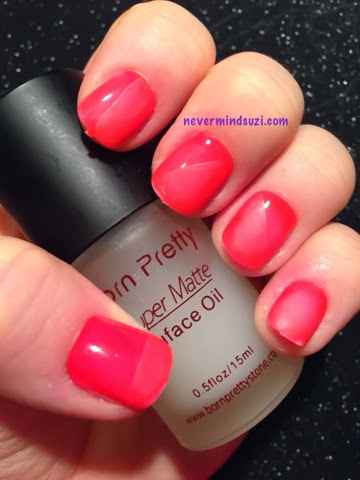 And I've done a few "designs" using Born Pretty Store Matte Top Coat. Essie - Camera is a lovely neon coral, it's really eye-catching! 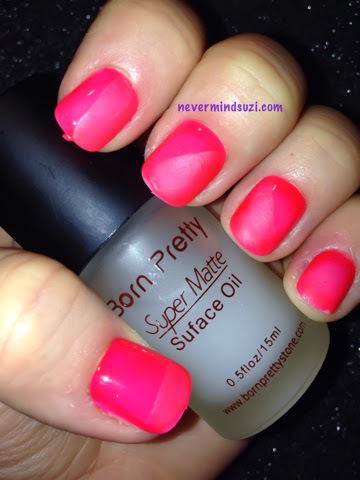 I'm a sucker for a matte top coat and this one from Born Pretty is 1 of my top 3. I've done a matte french tip. Half matte/half shiny vertical and alternative diagonals. 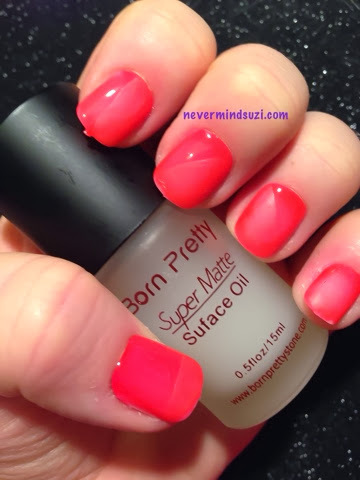 And my pinkie is completely matte. 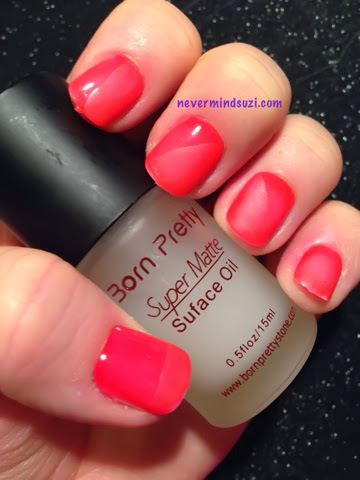 I also have a Born Pretty 10% discount on my blog if you're interested!